Welcome to the 2nd-anniversary post of our blog! Yes, this month we’re celebrating two years of Breathe With Us. Time does fly and as we’ve quickly reached another important milestone for the blog, it’s time to review what happened this past year and to look at what we’re planning to do in the future. And what a year it was. Very busy throughout, with plenty of hard work in order to create all the content you see on the blog and social media channels, plus photography and video editing. This means we spend many hours doing this, almost like a 2nd full-time job. It’s rewarding but it’s also frustrating at times. This definitely requires a lot of perseverance. All of this hard work paid off with our readership numbers increasing considerably compared to the previous year. We were featured in a few different places, for example, The New York Times, and landed some of our first partnerships. A final note about our brand-new travel planning service, where we help travelers get the most out of their trips. We decided to give it a try due to the number of questions and requests for advice we received about some of our most popular destinations, namely Iceland and Cuba. If you’re curious, here’s a recap from the first year of Breathe With Us. We’re quite pleased with the way things are going for the blog, how much we’ve improved over the last year and how stable things are looking at the moment. Like we mentioned, increasing the number of readers was one of our main goals and we’re going to build on top of that this year to reach even further. Let’s now see in detail what’s happened the past year. This year wasn’t as productive as the first one considering we only published 32 articles, slightly below our goal of one a week, but still very reasonable bearing in mind our articles tend not to be short and that our full-time jobs take a lot of time and energy. One thing we struggle with is to cope with a proper publishing schedule while on the road. We’ve stepped up our photography game by introducing a brand new photography portfolio, which we’re slowly but surely updating with new photos. From now on, this is where all our photos live, grouped by destination and place. Check out our photography portfolio now! Also, we publish our travel adventures daily on Instagram, so don’t forget to follow us. Here are some of our favorites from last year. It's good to be back in Vík! Such a beautiful little town. A curing barn in the heart of Valle de Viñales. This valley is both a World Heritage Site and a National Park! Greetings from Iceland! (And sorry for the lack of photos). Very busy days touring the country yet again. Yesterday we saw one of these little guys – a Puffin! 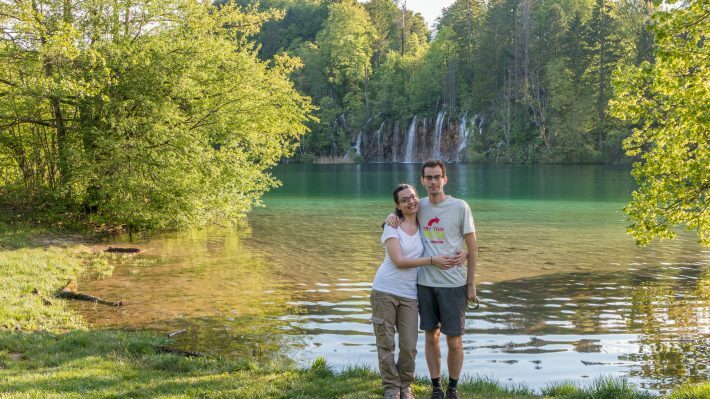 Another photo from Plitvice Lakes National Park. What a stunning place! Pontcysyllte aqueduct as seen from the bank of River Dee. One must go down to the river to get a better sense on how amazing this place is. After two days in Cairo, our trip to Egypt continued south to Aswan. From there we went to one the best monuments we've ever seen – The Abu Simbel Temples. Our new article is out now! Go check it out. Also, more pictures coming in the next few days. We’re shooting more and more video on our trips and, although we’re not releasing as often as we’d wish, we have definitely put more effort into it. We now have a dedicated page with all our best videos and more videos on our YouTube channel. Two of the videos of the year include “A weekend in Jersey” and “Sailing the Nile on a Felucca“. Take a look and let us know what you think! In terms of traveling, we have quite a lot happening in September as we’re embarking on a month-long road trip in the Balkans. We’ll be visiting Macedonia, Kosovo, Serbia, Bosnia, Montenegro, and Albania. We look forward to exploring this beautiful and underexplored part of Europe. We’re still trying to figure out a couple of short trips in Europe for the fall but so far, Portugal and France to visit family, and California and Spain for work, are already scheduled. Thank you for following our adventures for another year and we hope to see you on our blog again soon. If you have a couple of minutes to spare, write down your feedback in the comment section below. We would love to read what you have to say.